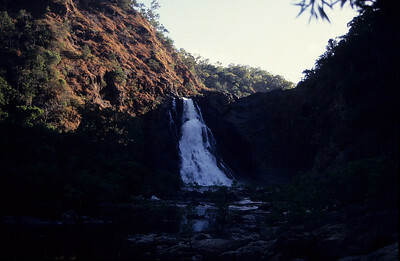 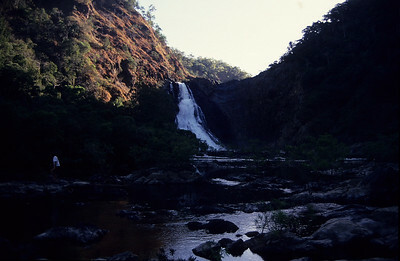 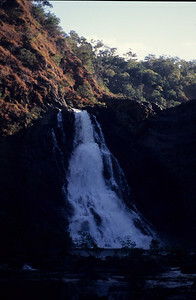 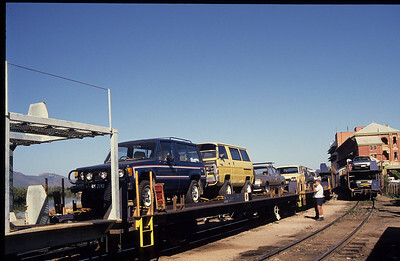 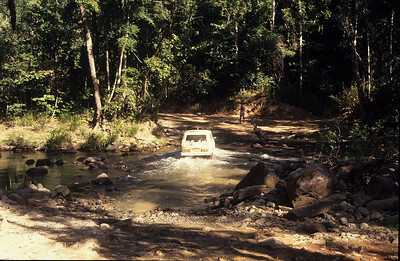 Scanned slides from my 2nd trip to Cape York in 1989 with the Subaru 4wd club. 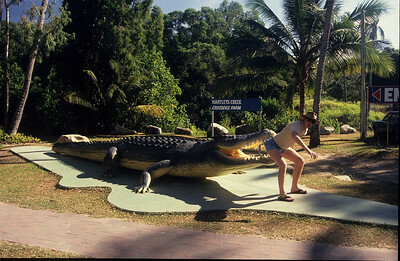 A different way to travel from Brisbane to Cairns this time. 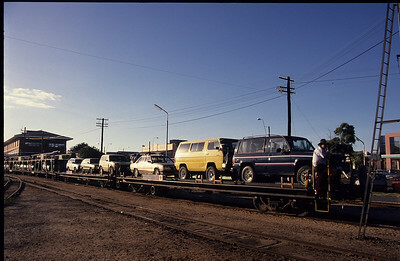 Everyone enjoyed the train trip apart from me who had travel sickness. 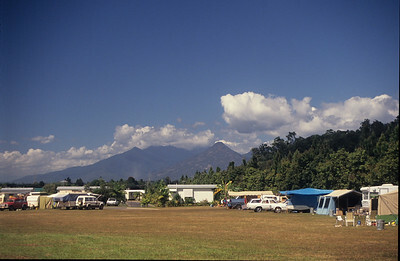 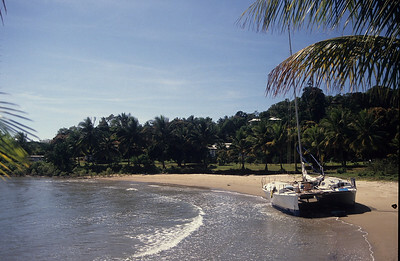 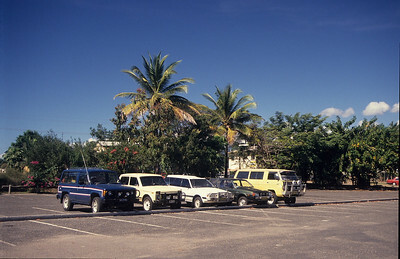 View from the Coconut Caravan Park (now a Big4 and doesn't look like this). 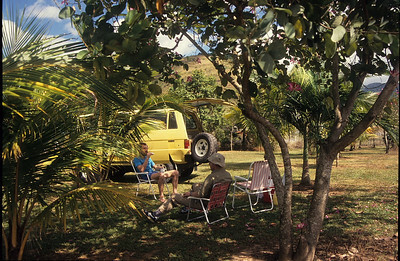 Tony and Colin chilling out before we start to head North. 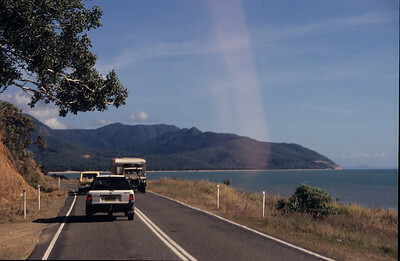 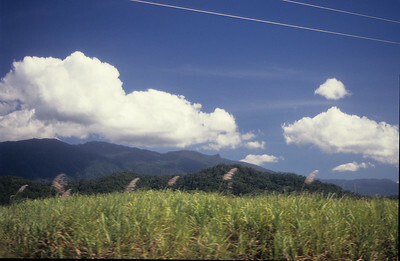 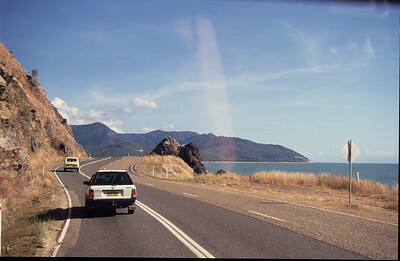 Beautiful drive from cairns to Port Douglas. 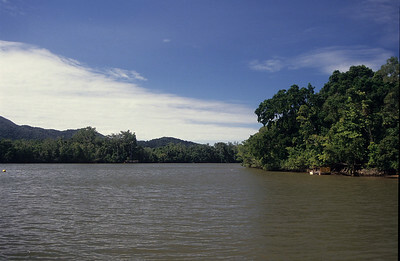 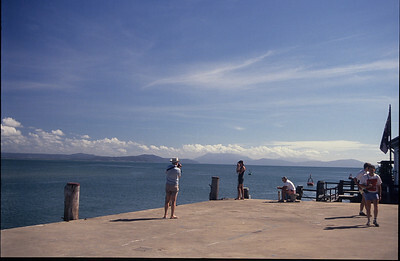 Looking north from the wharf at Port Douglas. 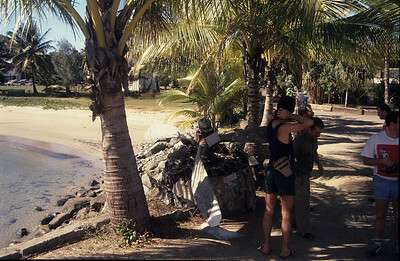 The shade was always welcome where ever we went. 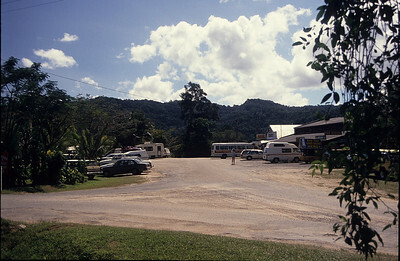 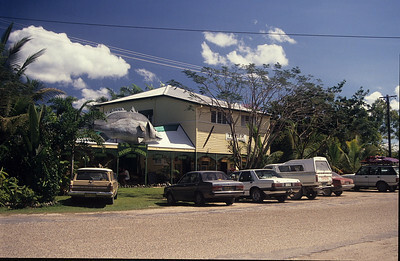 A quick stop at the Daintree village before crossing the river. 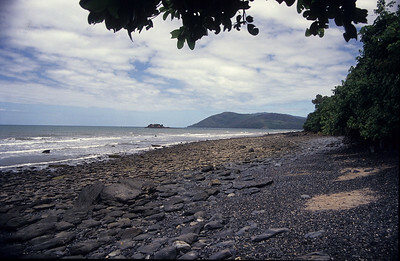 Bouncing Stones near Cape Tribulation. 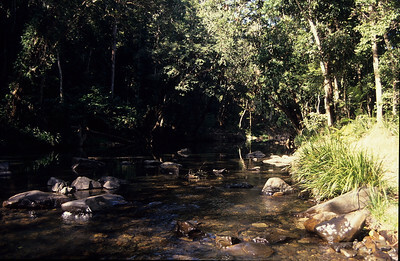 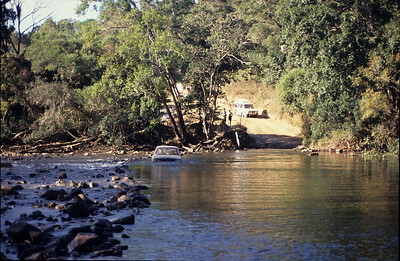 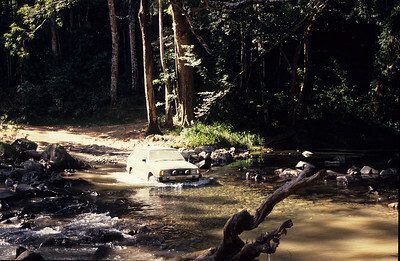 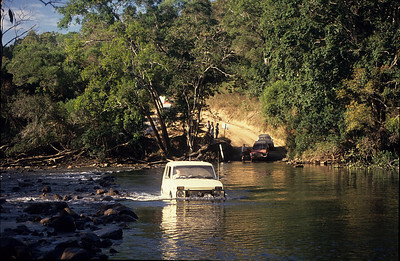 Geoff's Lada crossing the Bloomfield River.